Santa was graceful and generous this year for he gave us an epic cringe moment that will forever be memes material. Just when we thought Mohamed Ramadan’s music videos were disturbing and egocentric enough, Actress/Singer/Producer, Bushra, decided to start an Internet fued with Egypt’s box office king, Mohamed Ramadan. Whoever wrote that ‘Kobra‘ song needs to be prosecuted by the Musicians Syndicate because my 5-year-old daughter can write a better diss track. Mr. Hany Shaker, please do something! So, this is how the song goes. Bushra is complaining about someone who calls himself ‘number one’ when he isn’t even number 70. We will ignore the fact that Ramadan’s videos’ organic reach and fan base are off the charts. The actress goes on calling him a lion scratched by a kitty and ends the song with a chorus about life and death wisdom. The lyrics, choreography, and production are cringe worthy for days. However, celebrities dissing each other publicly is nothing new. It’s a global publicity stunt and it works. Yet, fans weren’t too keen to stand up for Ramadan as much as they were infuriated by a sedated lion, scared cat, and a man in a black face mask that appeared in the ‘Kobra’ music video. 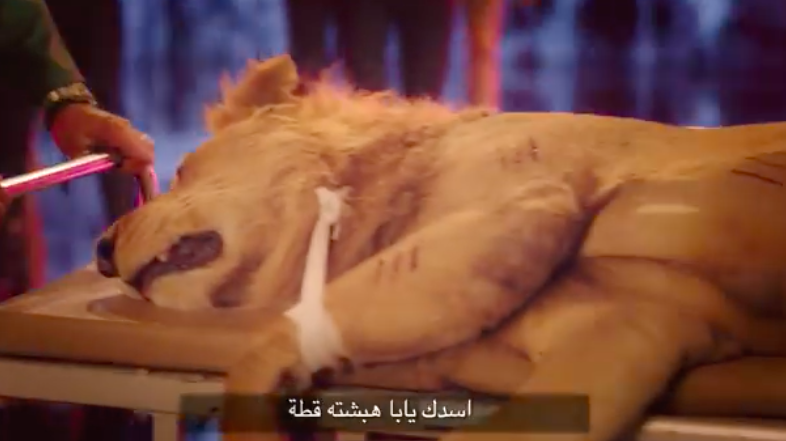 The lion; representing Ramadan, appears sedated on a table so the singer can metaphorically say that she hurt the lion when she’s merely a kitten. And speaking of cats, the singer approaches the lion holding an obviously scared cat. The social media backlash has been intense as they expected more from the well-educated actress. 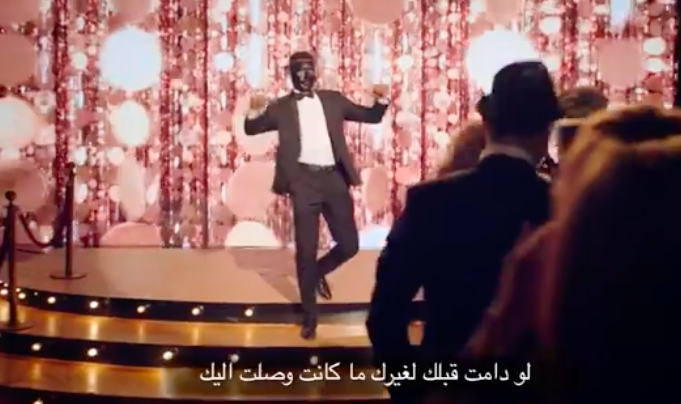 Another scene that left everyone’s jaws on the floor was a man with a black mask; also clearly representing Ramadan. Maybe it’s an honest mistake, but this is 2018 and either the director, producer or the singer must have heard about similar incidents sparking racism controversy. Talk about merging racism and animal cruelty in a single video. The actor clapped back immediately with a hashtag that said “dark-skinned and proud” and directed a message to a mysterious man who let go of the kitten telling him Ramadan is on the top and promoting his new song, Mafia. Fellow actresses have been spotted commenting positively on Bushra’s Instagram post which might indicate some sort of solidarty with her decision to diss the actor. Hopefully, it’s a simple act of endearment of BFF support, lest the beef get out of control. Bushra is not this uprising actress or one-time-wonder singer anymore. This is a lady who hosts one of the biggest annual cinema events in Gouna. This is an actress who manages to get in contact with internationally acclaimed actors and convince them to come all the way to Egypt to show support. She is important. This music video is definitely not what I expected from her new status.